The secret to beautiful skin is moisture, and no other hand soap hydrates skin better than Dove. That’s because Dove isn’t a bar soap, it’s a Beauty Bar. While ordinary soaps can strip skin of essential nutrients, Dove beauty bar has mild cleansers to care for skin as it cleans. With our ¼ moisturizing cream, Dove Beauty Bar leaves your face and body feeling soft, smooth, and more radiant than ordinary soap. You can see why we call it a beauty bar. 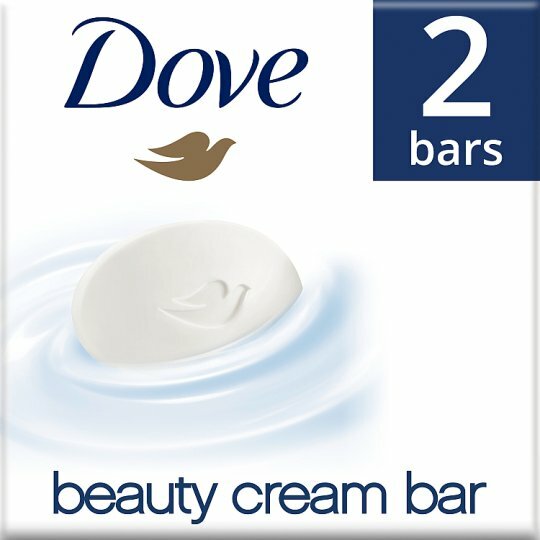 Dove Original Beauty Cream Bar Soap combines a gentle cleansing formula with Dove's signature ¼ moisturizing cream to give you softer, smoother, healthier-looking skin. The mild cleansers help your skin to retain its natural moisture rather than strip it away. This Dove Soap Bar even helps to replenish nutrients that are lost during the cleansing process. Where a regular liquid soap bar might leave your skin feeling dry and tight, a Dove Beauty Cream Bar Soap leaves it feeling soft and smooth. It's not a liquid soap - it's a beauty bar. Lather up your Dove Beauty Bar Soap and massage the smooth, creamy lather over your face and body before rinsing thoroughly. For soft, smooth hands, you can also enjoy regular hand-washing throughout the day with your Dove bar. Soap may dry out your hands, but the classic moisturizing formula of Dove bars will leave skin softer, smoother and healthier-looking.